“This is important! This is more than important! This is our youth!”, Dillon screams into my ear. “You have to write that in your review, this is the future!” Standing on the right corner of the huge stage, hidden by the massive speakers, Dillon was referring to Hot Chip’s ongoing live performance at Zagreb’s Electronic Beats Festival on Paviljon 9 of the Zagrebački Velesajam. Having finished her set, she was totally into the groove of Hot Chip’s gig, and she was enjoying it big time, dancing. Rightfully so, I should add. 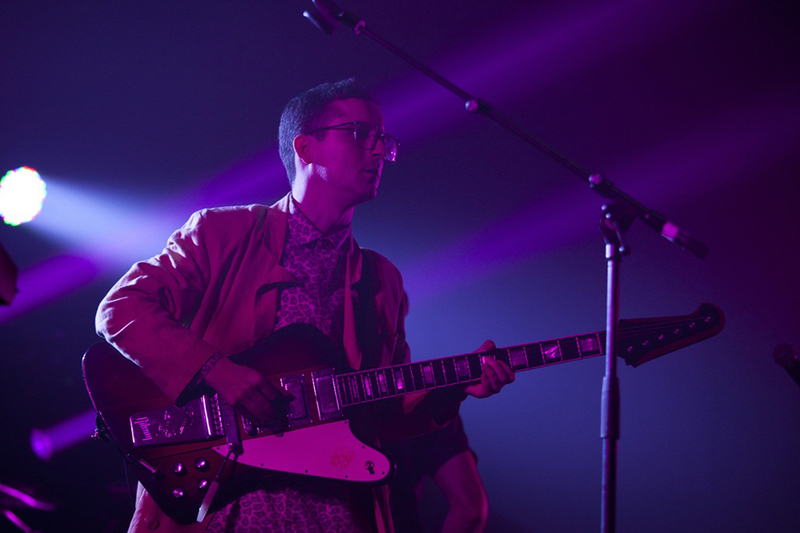 Having just completed their UK tour, Hot Chip kicked-off their first major show on the continent with more improvisation than ever. They pushed the limits of interaction with a group of multi-instrumental musicians and created a concert set-up that allowed them to improvise more than you can imagine. 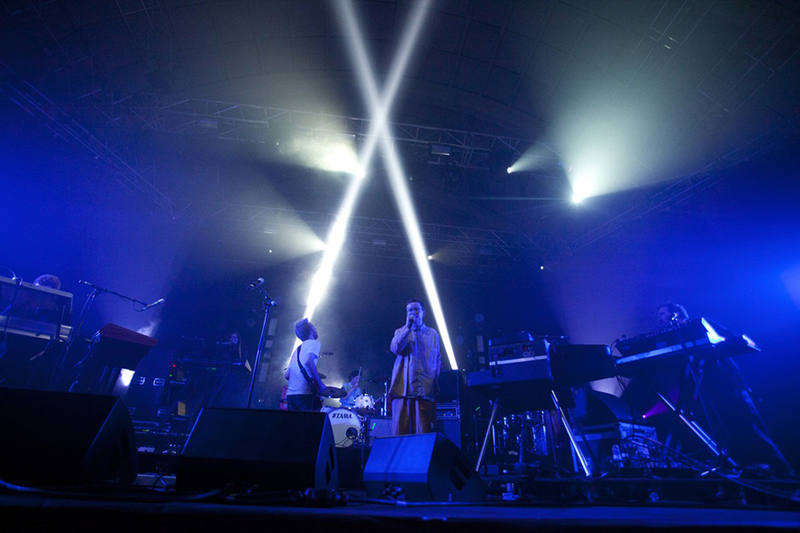 In a sense, Hot Chip interacted with both themselves and their audience. 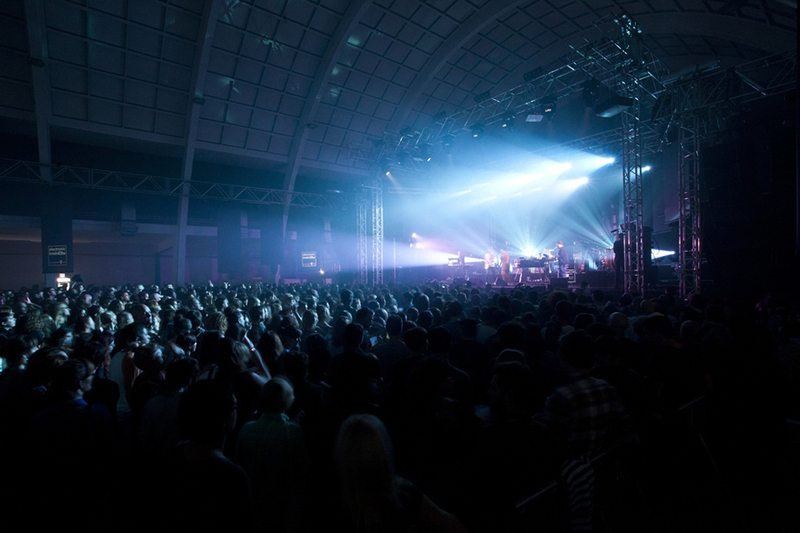 Hot Chip’s gig was streamed live worldwide on Electronicbeats.net, as was the following concert of Berlin-based Modeselektor. It’s strange and fascinating at the same time when you realize that everything you see live is simultaneously being broadcast worldwide. Unlike previous shows no pillows were thrown. 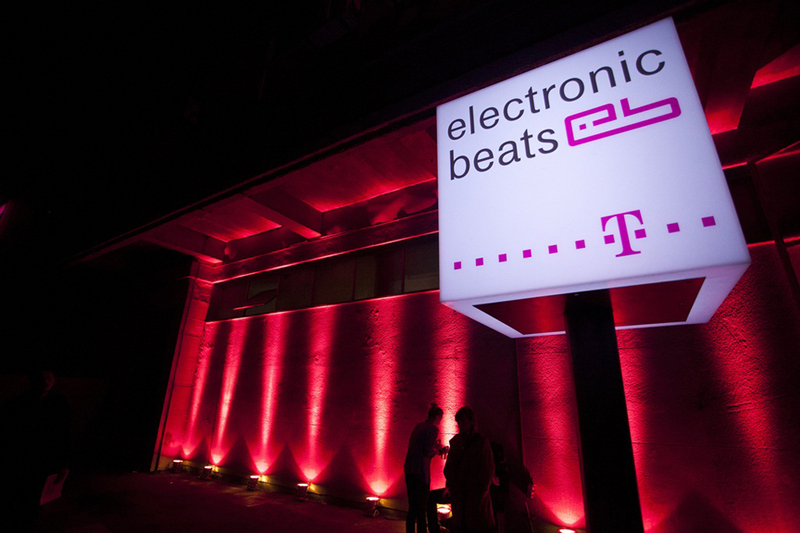 In post-war Croatia, they limited themselves to delivering a deadpan set of pumping big beats and breaks. And instead of starting a pillow fight, they emptied two bottles of champagne into the ecstatic crowd. 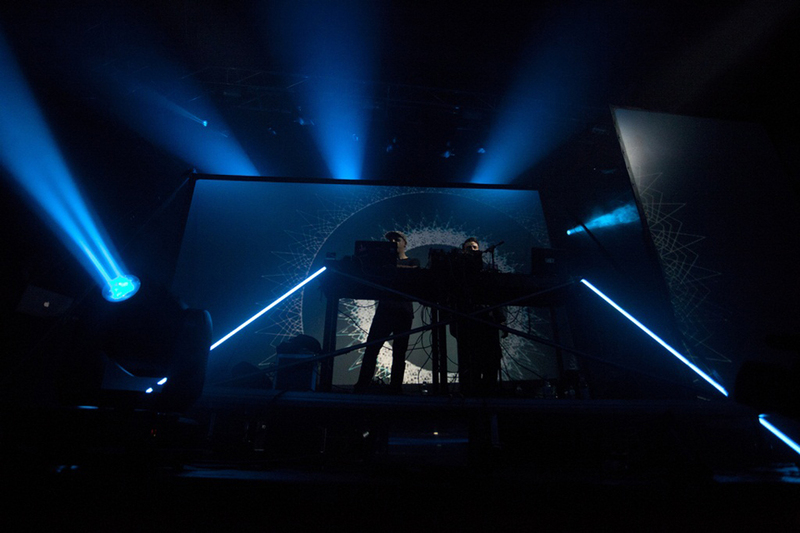 Prior to Modeselektor and Hot Chip, the audience witnessed solid performances of Dillon and Woodkid. The self-acclaimed prototype of a hipster, Woodkid, who has performed at previous EB festivals, proved true during his one-hour concert that Paris is still the capital of fashion. His band, featuring a three-piece brass section and two drummers, was tight. So much more so than it was in Prague. His performance made it clear that we are witnessing an artist on his way up. Unlike Dillon’s previous EB gig in Gdansk where she was forced to perform almost without instruments, tonight she showed the audience that she knows about the importance of sound architecture and a proper stage show. Heavy sub-basses and her tender voice amalgamated into a hybrid to remember.